As its alluring name suggests, Savor is a charming café serving dishes with Mediterranean flavors that are expertly prepared, relying only on in-house ingredients and presented with panache. 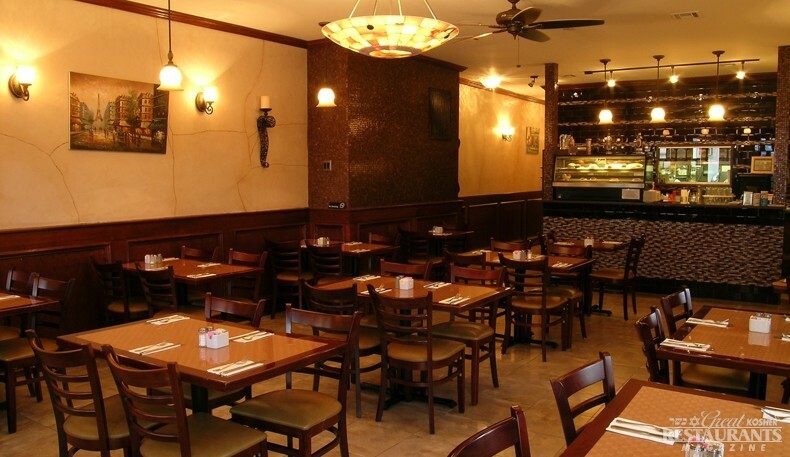 After a life long dream, Owner Igal Saig and his sons opened Savor Café, which is centrally located between Midwood and Marine Park, in January 2010. Since then, patrons clamor for its housemade bread and its irresistible fish specialties like Chili-Rubbed Grilled Tuna with buttery mashed potatoes and Salmon stuffed with spinach and feta cheese. Lior Saig, the owner’s son and chef, has a background in French Classic cooking and graduated from the New York Restaurant School. His style shows up in gourmet sandwiches such as brie, an open-faced baguette with sour apples, walnut fig spread and drizzled with honey. For an appetizer or side dish, the healthiest selections are found in the Bulgur Wheat Salad or the Zucchini Carpaccio. The chef’s picks for a delectable dessert include his Dark Chocolate Molten Cake with a warm and creamy center or Warm Caramel Apple Crisp, spiced slices of granny smith apples, encrusted in a baked crumble. 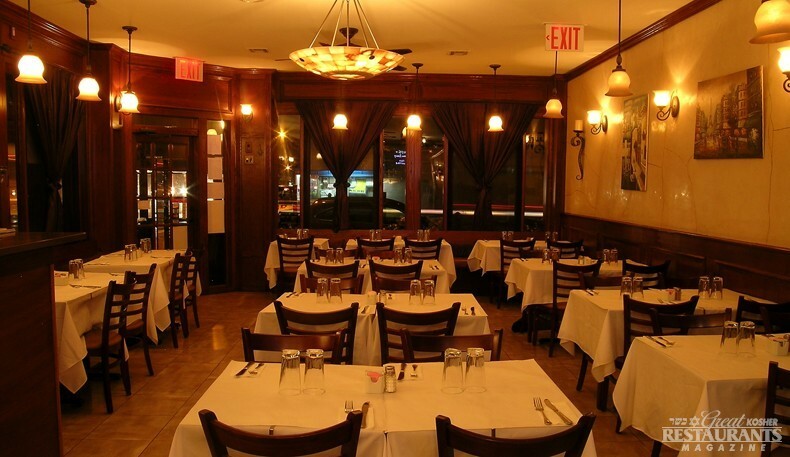 The restaurant features two spacious dining rooms which are furnished in warm brown tones, saturated with light from dangling sconces and art-deco chandeliers. During the day, Savor Café has a sunny ambience with a steady crowd of ladies and business lunches and at night you will find a more classy feel, ideal for couples and families. 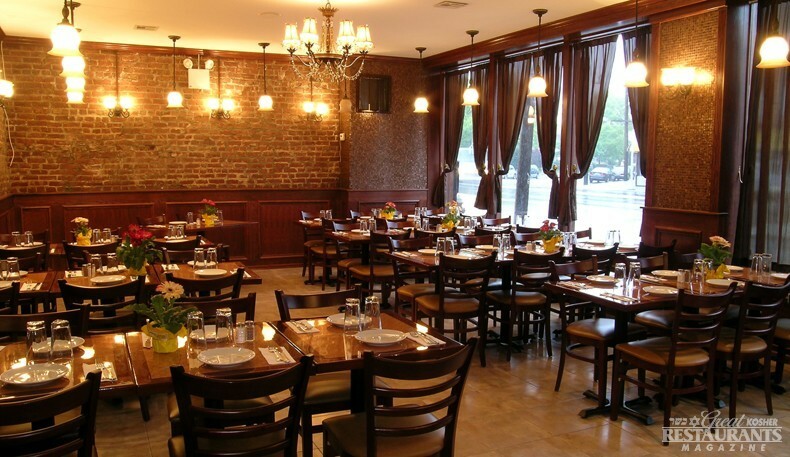 When the restaurant gets full, the second dining room is used for a more spacious dining experience or for the most part, it is used for private parties such as Sheva Brachos and special occasions. For privacy, there is a separate entrance for the party room on Nostrand Avenue. Whether dining in-house or in their private room, there is no doubt, you will savor this cafe. Take-out. Delivery. Private party room. Lunch and dinner specials. On and off premise catering.